My very first dividend yielding stocks are bought! These are the stocks that I felt were worth my money. You will find my short motivation below. Please feel free to comment, as I'm very excited about this first step to financial independance. Dividend growing for an amazing 53 years. Very stable stock price, but has shown a steady growth over the last decade. Combine this with their nearly 3% yield and a 3-year DGR of 8.37% and this should be a great champion to start my portfolio with. One of the few IT related dividend champions in the list. This company originated in 1875, right after Bell invented the phone itself. Despite its age, the company succeeded to bring innovations decade after decade. Their 5.19% yield is huge, as it is amongst the top 4 of the dividend champions list, in this category. However the 3-year DGR of 2.33% is small. Despite my focus to growth rather than high yield, I think this high yielding company is a safe stock to own. Life care will always be important. Johnson & Johnson provides millions of people with their medical supplies. I could not find any reason why this stock is risky or not worth anyones money. Their stats back me up fortunately. With an average yield of 2.3% and a 3-year DGR of just over 7% I think this is a great low risk addition to my portfolio. Due to several problems this company has had, its stock price has shown a large downfall over the last couple of months. However, I'm confident that their new CEO will be able to solve these problems over time. Some experts are warning us for rough times ahead, but as always, we can't believe all rumors. Besides that, stocks in a DGI portfolio should be measured over the long run, not over the next months or two. The company has a current yield of 3.0% and a top 3-year DGR of 23.44%, which makes Target the #1 of the entire Champions list, in this category. Given the price and these stats, I couldn't find a better stock to start my DGI career with. My total portfolio could be viewed here. Thanks for your confidence and your kind words, it helps a lot! 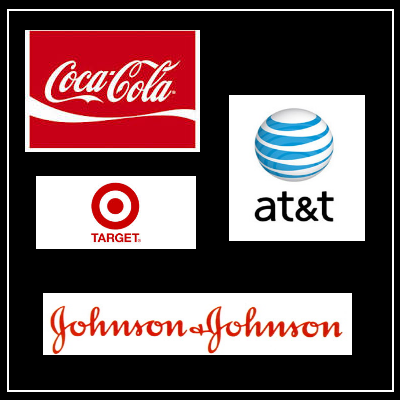 I'm on board with your KO and JNJ purchase. In general a very solid start to a dividend growth portfolio. I will say that I am not surprised at your TGT purchase as every blogger seemed to pick up some TGT in the month of June. Thanks for sharing and look forward to your progress. Thanks for stepping by, that's much appreciated. I'm not fond of getting stocks at their 1-year high value. That's why I took TGT, because that's the most value for buck at the moment, out of the Champions. However, KO and JNJ are winners and hopefully will stay winners for the next decade, so buying those at a pretty high price didn't feel so bad. That's a nice selection to begin with there. I own three out of four of those names myself. Best of luck ! Thanks for stepping by. I've read your blog before, but you are way ahead of me. Keep up the good work! Unfortunately I accidentally removed it... Sorry about that! I don't see a way to bring it back at my dashboard. Those are some great companies for starting off! Good luck and keep at it! Thanks for your kind words and your subscription! I'd love to see you as a regular visitor. I've read your blog for a bit and I saw you started investing while living with your parents. I wish I did that! Once you have a house of your own, your expenses increase by a whole lot unfortunately! Some great companies to start with! Pretty sure none of them are going to let you down in the lon run! Hopefully you're right. As of JNJ, that's even doing great in the short run. It's at +2% in just a couple of days. Of course the long run is what matters, but this is a very good development. Those 4 are great companies to start your portfolio with. I own all 4 but not nearly enough of each of them. Great job getting started with the dividend growth strategy I definitely think it's the best route for the average investor. Thanks for your comment. Your visit is much appreciated.